Operating business in dynamic IT environment becomes paramount for enterprises to stay ahead in competition. With the increasing technical complexities and challenges, most of the business enterprises hire outsourcing companies for software development and management. Outsourcing translates IT costs into variable expenses, and enables to budget your project more effectively. Partnering with an IT company eliminates the expenses associated with hiring and training of IT staff, and leverage utilization of the human resources. Using their expertise and technical capabilities, outsourcing companies start working on projects quickly and implement new technologies. By managing security and compliance issues, outsourcing providers help to reduce business risk. They make your services better with premium level deliverables and reducing lead time taken to reach the market. 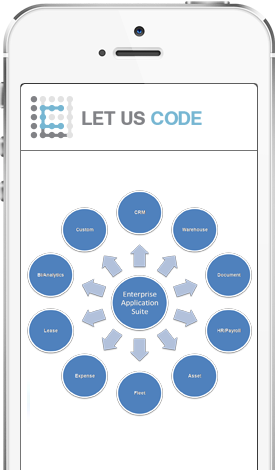 What’s different with Let Us Code’s Outsourcing Services? Our Outsourcing Services help enterprises streamline processes, improve efficiency, service levels and reduce overhead expenses without investing much for skills and technology. We provide competitive differentiation, thus adding value to your business.